Lily: I get Ben out on parole but Serena and Eric continue to treat me like I'm toxic. Rufus: I know you did what you could, but Ben's still going to have a criminal record. Give them time. Good luck at your new job at the mayor's office or the Whitney or CIA or whatever. This is like living with Don Draper. 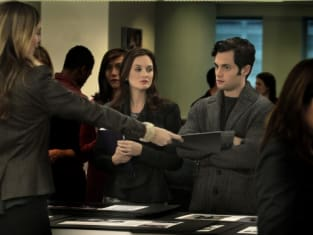 Gossip Girl Round Table: "Damien Darko"
Gossip Girl Review: "Damien Darko"